San Francisco-based law firm Girard Sharp LLP, along with Gibbs Law Group, want to alert those affected by the 2018 Pacific Fertility Center tank failure that the upcoming one-year anniversary of the incident marks an important deadline for the filing of potential legal claims: certain claims may expire after March 4, 2019 due to statute of limitations. Individuals and families who were affected by the Pacific Fertility Center equipment failure and would like to understand their legal rights in the Pacific Fertility Center Lawsuit are urged to contact our team at (415) 981-4800. Last year, the federal judge overseeing the Pacific Fertility Center lawsuit appointed our team to a leadership position, with responsibility for directing and prosecuting claims against defendants Pacific Fertility Center, Prelude Fertility, Inc. (a company also responsible for egg and embryo storage at the time of the incident), and the manufacturer of the cryo-storage tank, Chart Industries. The cases have been progressing despite Defendants’ ongoing attempts to have the lawsuits removed from San Francisco federal court and sent to confidential, binding arbitrations. We have been leading efforts to oppose arbitration and to obtain detailed information from the defendants to uncover exactly what caused PFC’s cryo-storage tanks to fail, and how the failure might have been avoided. Our lawyers are providing free, confidential case evaluations for anyone affected by the Pacific Fertility Center tank failure. For more information about the lawsuit, or to contact our team, visit http://www.classlawgroup.com/fertility-clinic-lawsuit or call (415) 981-4800. Our attorneys pride themselves on being there for our clients at every stage of the litigation, from intake through verdict or settlement. Girard Sharp LLP is a national litigation firm representing plaintiffs in lawsuits in state and federal courts. The firm serves individuals in cases involving catastrophic personal injury and consumer protection laws. Girard Sharp has been named a Tier 1 law firm for plaintiffs’ mass tort and class-action litigation by the U.S. News & World Report. Our attorneys have been named among the Best Lawyers in America © for six consecutive years and have been recognized among the Top Plaintiff Lawyers in California. Gibbs Law Group has recovered more than a billion dollars on behalf of its clients against some of the largest corporations in the world. Our attorneys have represented thousands of clients in class actions and personal injury cases throughout California and around the country. 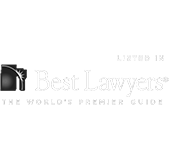 Gibbs Law Group’s attorneys have been named among the Best Lawyers in America ©, the Top Plaintiff Lawyers in California, the Top Class Action Attorneys Under 40, and Consumer Protection MVPs.